These are the most commons and most frequent asked questions for the Latin Cruises 2018. Our crusies depart from the Marina at 750 Pacific Blvd. We are located behind the Ex- edge Water Casino. Parking is available in any of the nearby Parking lots, including one underground. Street parking is also available on a very limited basis. 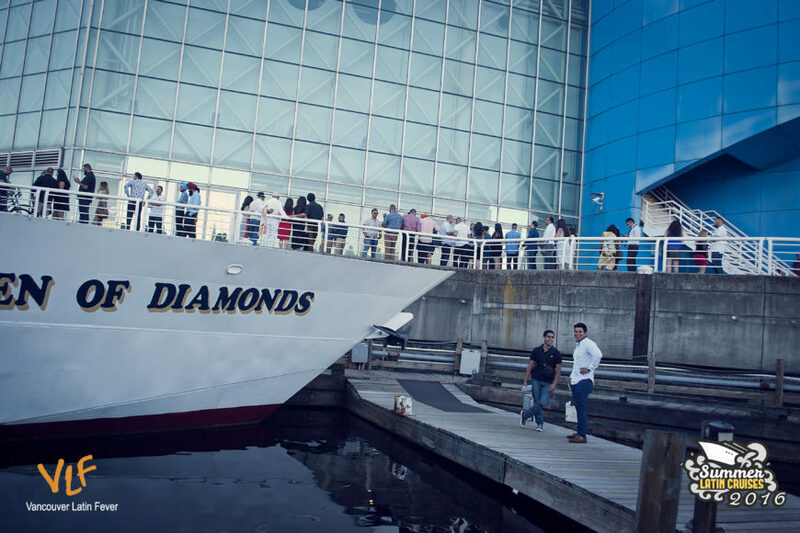 The Latin Cruises salsa nights accept cash and credit cards on board the M.V Queen of Diamonds. There is no ATM on board. Raincouver will stop the Latin Cruises? The Rain is not a Factor to stop the Latin Cruises from sailing. The M.V Queen of Diamonds has 3 levels 2 are completely covered and the largest upper deck in Vancouver this Year 2018 is completely covered if Rains. The Latin Cruises is the most popular event during the Summer and We play Latin Music (Salsa, merengue, Bachata, Reggaeton, Vallenato, Cumbia and more) Top 40′ and Brazilian. The Lessons will be teach in the upper deck. Dress code is always casual according to the theme of the Latin Cruise. Group Discounts, Birthdays, Stagettes and Special Occasions. How long will be the trip and where the boat will take us ? The Boarding is a 7pm and We depart at 7:55pm… We will be arriving at 11pm. The Boat will sail through the quiet waters of False Creek by glitter of Science World, or into the effervescent Inner Harbour, also don’t forget the beautiful West Van Shore line. This is a 19+ Event and By law you have to bring 2 pieces of Id. One with picture and the other one with your name on it. No Refunds. Sales are final. No exchanges with Cruise Dates.